Diwali is here again! Eyes alight with the joy of sharing and caring, all Indians celebrate this triumph of good over evil – festival with gaiety and an infectious happiness! With the festival of lights knocking on the door, a majority of us have already stocked up, or have at least decided on, gifting options for our family and friends. 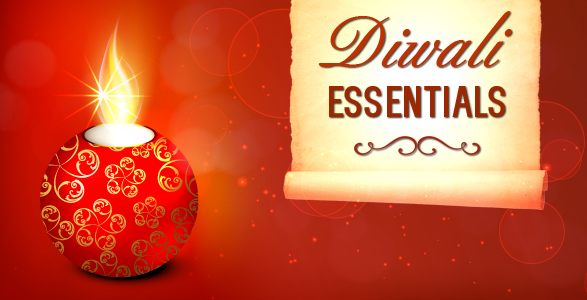 Yes, Diwali is not just about sharing the joy and happiness with the ones you care, but also the spreading a general sense of enlightenment and contentment. And it really helps to plan and prepare for such festivities. We have identified 5 essential products that any household must have before festive tidings come flooding in. Take for instance, the Aloe Vera Gel, which has an intrinsic property of being anti-septic and heals skin inflammation, infections, allergies, blisters and even insect bites. Besides these, aloe vera gel keeps the skin hydrated and is effective in removing tan too. Being an almost instant remedy for burns, it is quite a handy product during Diwali, especially if you have kids at home. No Indian festival is complete without prayers being offered to the deity and foreheads being marked with crimson-red kumkum paste. During Diwali, and in puja ceremonies across households, Goddess Lakshmi is worshipped as a symbol of good luck and prosperity. Traditionally KumKum has been observed as a mark of devotion and forms one of the most important ingredients in a puja thali. When it comes to decking up during Diwali, we Indians do like to leave no stone unturned. Whether it’s ourselves, or our home, we do take our appearance, well-being and our living ambience seriously. It’s only natural that when it’s Diwali, we’d ensure that our Home Sweet Home reflects positivity. How, do you ask? Indie Eco Candles Pink Jasmine is a handcrafted candle which is made with vegetable wax instead of the regular synthetic paraffin wax that is packed with petrochemicals. And who doesn’t like some clean, green and non-toxic fragrance to fill up their living space! The aroma of essential oils infused into the candles is long-lasting and naturally uplifting. It only gets better with Pink Jasmine in particular as it promotes relaxation, reduces stress, while elevating feelings of happiness, contentment and confidence. Now isn’t that a relief! There’s more ways one can celebrate the festive spirit! Let us not forget to stock up on the oh-so-important dry fruits. Cashews, to be specific. It’s almost hard to find a home during Diwali which has not yet hoarded up on cashew nuts. And why should we not! Don’t they just taste fabulous? Add to this the peace of mind that comes with knowing that these cashews from Natural Mantra are organic and contain zero cholesterol. And we’re sure when we tell you that these nuts are coated with real, flavourful saffron, you’d find it irresistible! And finally, how can the spirit of Diwali ever be complete without sharing good wishes. Sharing what we consider important to us with friends, family and others, is the first step towards bridging gaps and narrowing differences. Such is our culture that an unexpected gift, no matter how small, is always received with arms wide open. So, why not make a kind and thoughtful gesture and communicate your wishes with greeting cards? Make no mistake. Not all greeting cards are the same. For instance, Omved Plant card – Prosperity is eco-friendly; has no dyes, additives, or chemicals; and made using 100% recycled ingredients. And to top it off, there’s a printed message on this card which is the Sanskrit bij mantra shreem for ‘prosperity’. With still a week left to capitalize on, wouldn’t you hurry already? Share your happy thoughts on the same and if perchance there’s something that we’ve missed that you think counts as important as a Diwali essential, leave us a line below. 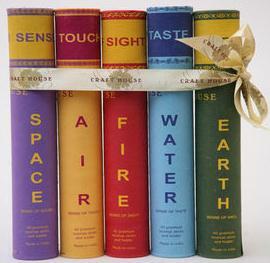 It’s always great to hear the thoughts of kindred spirits, who believe in holistic, healthy living. Here’s wishing you a safe, prosperous and Happy Diwali! 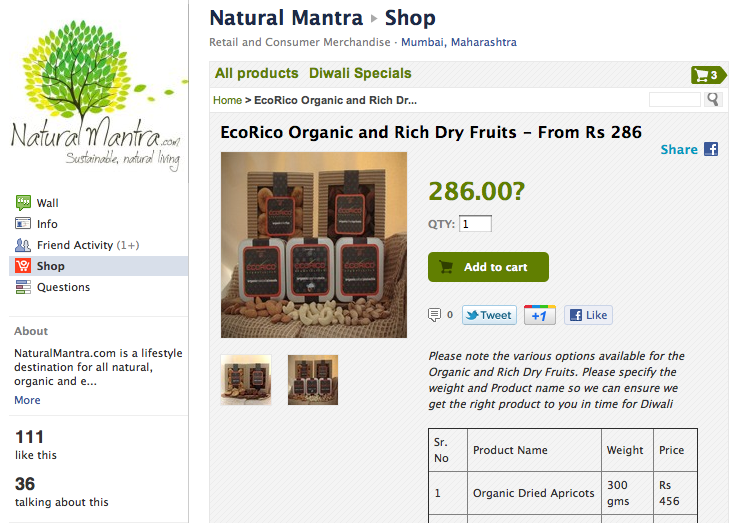 Categories: Sustainable Living | Tags: Diwali, diwali essentials, Diwali gifts, festival, green diwali, Organic, safe diwali | Permalink. Home – Blessed by nature. Nurtured by you. A sound mind resides in a sound body. A sound body, in a sound home. You may find yourself asking what a sound home looks or feels like. Well, the truth is that there’s no definite answer to it actually depends on what you make of your home. Each home has to its credit, a different and unique vibe and it’s upon the resident to bring it alive. Given our hectic schedules and other engagements or commitments that leave little time in our hands to nurture our habitat, it is important that we recognize at first how we could gradually start infusing a healthy life into it and in turn enhance our own living experience. What might perhaps not come as a surprise to many is that the most enriching moments spent at home, alone or in company of others, do not require elaborate arrangements. It is those simple, earthly and feel good moments of consciousness from time to time when everything positive about the ambience makes it conducive to have a wholesome, relaxing and calming time. That’s what a home is for after all, right? It is often this small change in attitude and choices, in this case, choosing to bring home a candle diffuser made from the elements of nature, rather than one which is made with paraffin wax that marks the beginning of truly dwelling in a healthy home. In fact let’s talk about other aspects of housing as well. If cleanliness is next to godliness, then shouldn’t cleaning healthy be on a similar pedestal? But of course. It is in fact the onus of the one tending to garments to ensure that they are treated in a natural way, and subjected to minimal abrasion. Regular chlorine-equipped detergents, for e.g. take the life out of fabrics and significantly reduce their life span, resulting in a gradual loss of vibrancy and softness. For the purpose of delivering you free from the worries of your clothes’ restricted life span, go for organic, chlorine-free and biodegradable Rustic Art Chlorine-free laundry detergent for regular clothes. One of the benefits of using such natural alternatives for detergents is that the rinsed water after the cleaning process can be used to water plants and act as a healthy and enriching soil fertilizer. And when this bio laundry range of single processed detergents is fused with lemon extracts, one can rest assured that what they wear is not just healthy, but it’s fresh and smells fabulously natural too. Besides lighting and laundering products, there are plenty of other household items that could really use some tender natural care too. Case in point, those expensive bronze utensils that you had cherished for ages which have also probably been handed down through generations. Nature often works in ways that tarnishes these utensils over regular use or if they’re left unused for a while. During such times wouldn’t it be wonderful to have a product that can not only clean them effectively but also restore their shine and luster? We recommend you try out the Omved Bronze Cleaning Powder from Natural Mantra to remarkably get back the glory of true princely dining experience. Categories: Natural Mantra | Tags: Clean, detergent, Diwali, essential oil, healthy, home, house, infection, laundry, natural, Natural Mantra, Organic, pesticides, potpourri | Permalink. Our Facebook store is now live! 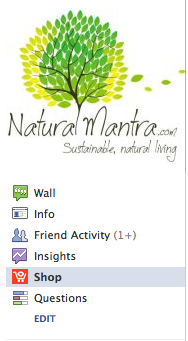 The team at NaturalMantra.com is thrilled to take our first step towards making eco-friendly living easy, accessible and affordable. 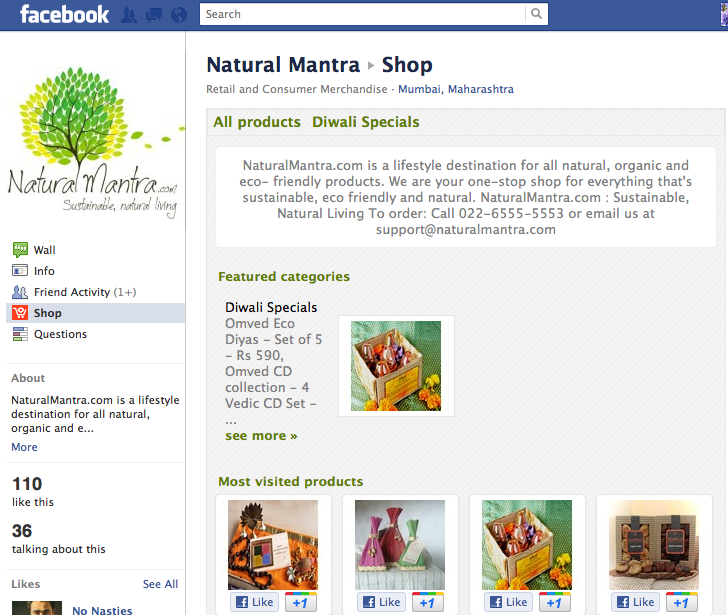 Our Facebook store is now live, just in time for any last minute Diwali shopping. We are privileged to launch this store with high quality products from Omved and Ecorico. At this time, we’re starting with Mumbai and will be offering ‘cash on delivery’ for all orders within the city of Mumbai. As we gear up to launch our website we’ll be sure to ship all over India. Click a product to view details and start shopping. Step 4 : Add your favorite items to the cart and check out. Diwali shopping can truly be overwhelming. We’ll help you save those last minute crowded store trips so you can achieve more, out of the little time you have. 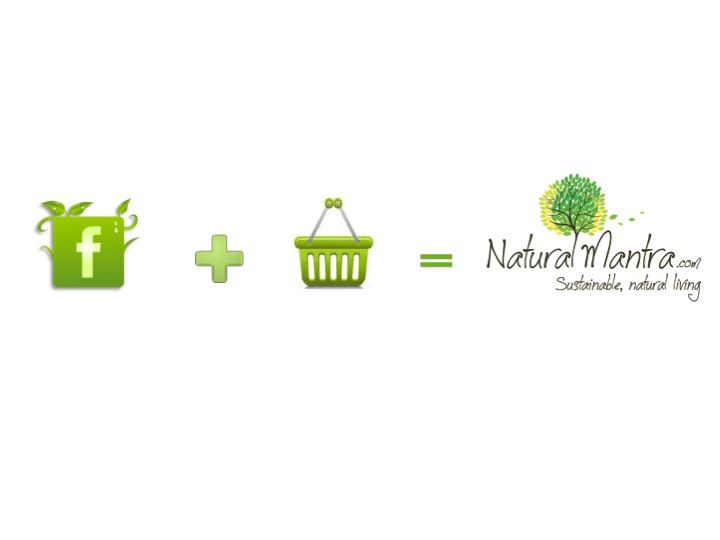 We’re just getting started to get some great natural and organic products directly to your door-step. 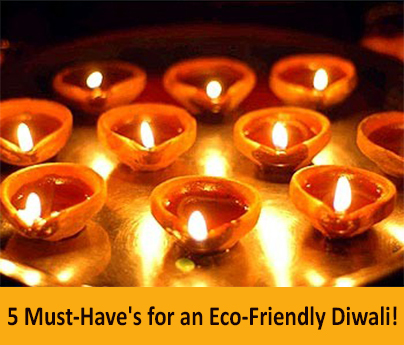 Categories: Sustainable Living | Tags: Diwali, eco diyas, eco-friendly Diwali, endosulfan, facebook shop, facebook store, natural, Omved, organic cashews, organic dry fruits, Organic products, social shopping | Permalink.